Jesus is alive! Join us for stories and songs celebrating Jesus rising from the dead! 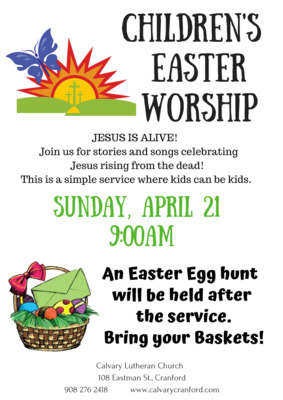 After the service, there will be an Easter egg hunt in the courtyard. Don't forget your baskets!